A news-y post today, readers! 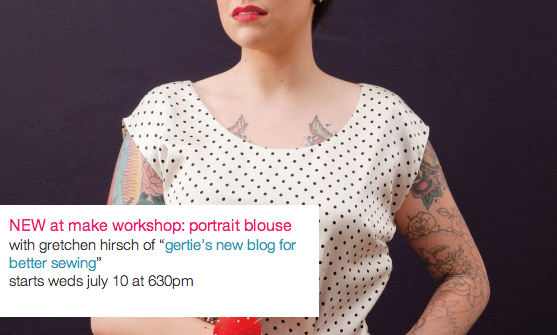 First, I’m teaming up with Make Workshop on the Lower East Side in Manhattan to teach a Portrait Blouse class. This is the super simple scoop-neck top from my book, and it’s become one of the most popular. In two 2.5-hour sessions, you’ll learn how to do a side lapped zipper on a top, a perfect narrow hem, and impeccably sewn facings. The skill level can range from advanced beginner (using an easy-to-sew cotton fabric) to advanced (sew it up in charmeuse or in lace). We’ll go over fitting issues to start with. The sessions are Wednesday, July 10th and Wednesday, July 17th from 6:30 to 9:00 pm. Read more info and sign up here. Secondly, more bow fabric!!! 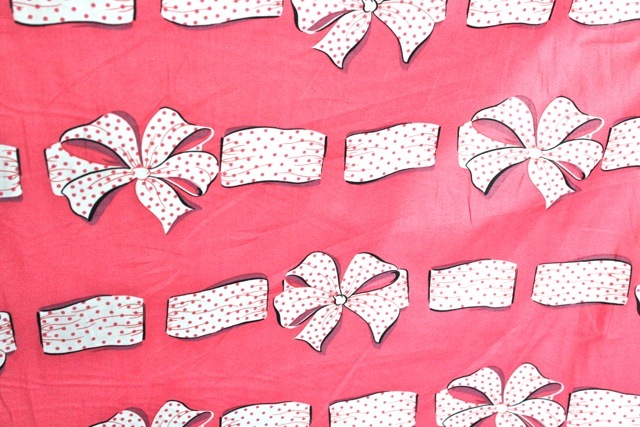 I managed to get more of the ever-popular Ascher Bow Print poplin fabric in this fabulous coral-pink color. The color is just gorgeous; I don't think a computer screen can really do it justice. Thirdly, I cut out my Jiffy shift dress last night! Bring on the go-go boots and hoop earrings. An astute commenter pointed out that there is some subtle bust shaping in the center front seam, so cutting it on the fold would change the fit. So I kept the seam; wish me luck matching up those plaids. Is it weird to want to make a bow blouse out of the bow print? Good luck! 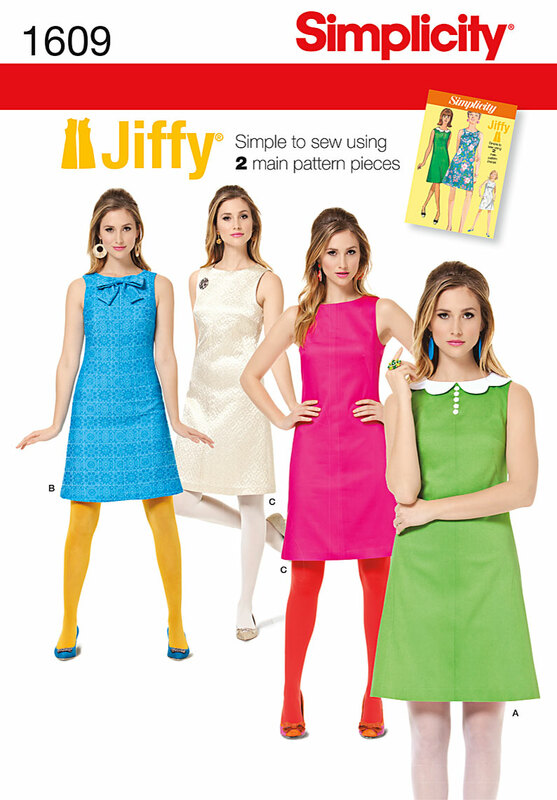 I've been convinced and am taking the plunge on the Jiffy dress this summer. Does anyone have a reco for an online button source for a vintage style other than eBay and etsy? Looking forward to seeing your finished dress! 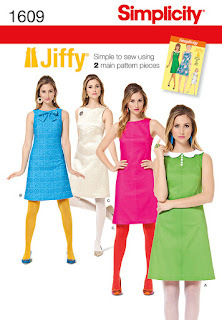 That Jiffy pattern is onsale at Hancock's beginning today for $ 1.99. I bought mine on my lunch hour. If you live near one, go get it for cheap! I'm coming to NYC sometime in August. Any plans for courses in August? I would love to take a class with you! I wish you could do sew alongs of the patterns from your book available to those of us not in America (Im Australian) ! I've been reading your blog for a while now..I'm from India. I took your class on Craftsy, haven't made the dress yet tho. I love your blog. Gets me excited to see what project you are up to next. Not many young sewers here in India so I'm hoping i revive some interest in it. Reading your blog is a good break time activity for me :) Good luck with your shop. P.S If you want any fabrics from India, lemme know..:) I'm a total fabric addict. I wish we could do a book sew along too. I remember you mentioning it in the past. Is that not allowed by your publisher?